The recent BBC report is something we are aware of and something we are trying to combat as an industry, with assistance from our shop members through to industry suppliers. We take the topic of nutrition very seriously and have been working on this issue for a long time. One of the issues faced is that a portion of chips from a fish and chip shop is often shared between a family when ideally shops should be offering consumers a smaller portion. As a Federation we promote best practice, when these steps are followed chip shop chips are healthier compared to ‘French fries’ which contain double the amount of fats and oils due to absorption. 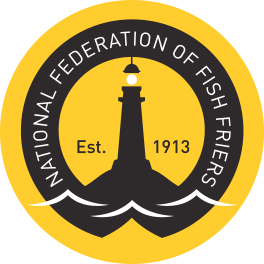 The NFFF offers training courses, both in shop, and at the NFFF Training Academies based in Leeds, England and Kilkeel, Northern Ireland which provide training on the selection, storage, preparation and frying of fish and chips. In addition, we offer Oil Management Workshops to local councils, aimed at fish and chip shops and other cuisines, these advise on ways to offer a healthier product. We are also working on a new nutritional testing service for fish and chip shops, to be launched very soon, this will allow shops to test their product and display and promote their calorie count to their customers. This service will be on offer towards the end of 2018.